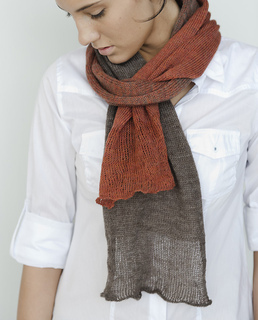 Using multiple strands of delicate Habu Textiles yarn, this modern and stylish scarf is an experiment in blending color as it shifts gradually from one to another. 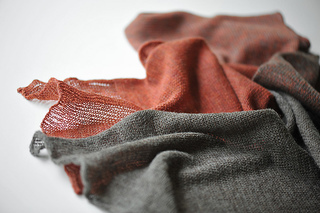 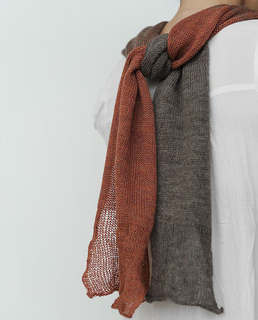 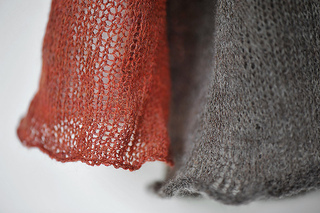 Each end of the scarf includes a strand of silk stainless steel, creating a unique shape and texture. 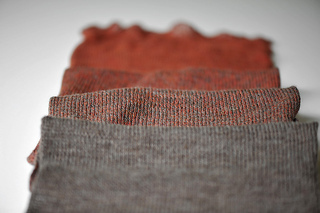 décalage \ day-ka-lahj \ (french): shifting or being shifted.